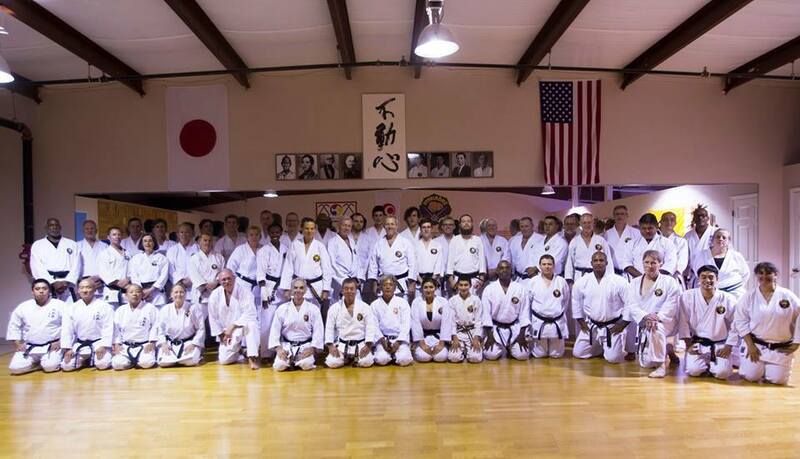 The USA WMKA seminar featuring Yoshitaka Taira, Hanshi 10th Dan, President of the WMKA occurred over a three day span from October 16-18 at the Shinbukan Dojo of Rio Rancho New Mexico). 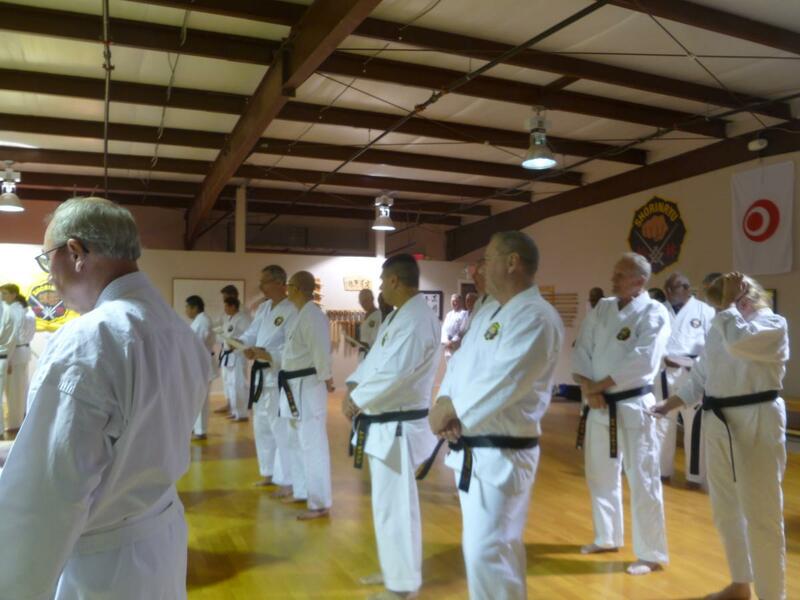 The event was hosted by Fred Schlesinger, 5th Dan and attended by over fifty Matsubayashi Ryu practitioners from the United States and Canada ranging from Kyu levels through 8th Dan. 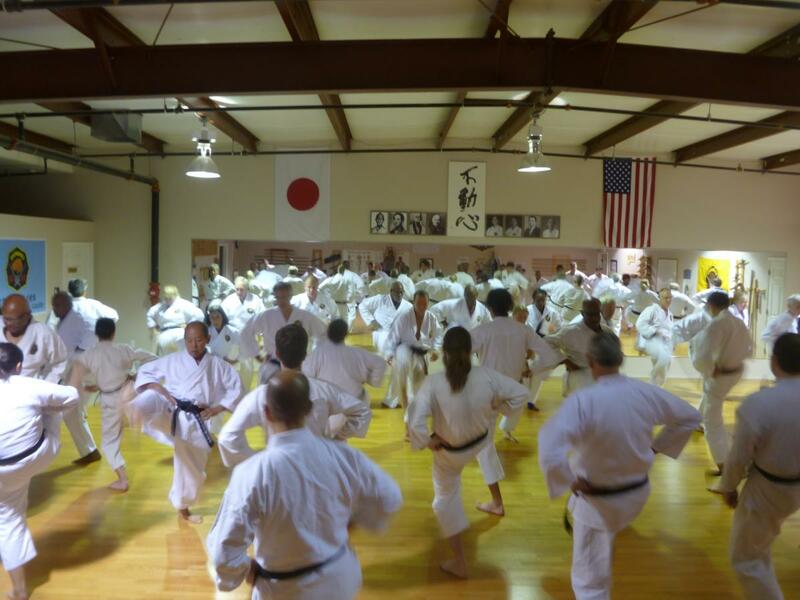 The event began with an evening seminar on Friday October 16th and began with O’Sensei’s Karate Do Sanka witch participants followed and sang along with. It was followed by an all day seminar on Saturday October 17th which included a Dojo Owners lunch meeting and Dan grading in the afternoon. Several presentations were made during the seminar. The seminar included kihon drills, specific kata review and corrections, kata applications, Sotai Renshu drills and instruction in Sai Kata. A large dinner party was held on Saturday evening which featured New Mexican food at the famous “El Pinto” restaurant. The seminar continued on Sunday October 18th followed by a party held at the Schlesinger home. Kaicho Taira was accompanied by Mr. Manabu Kinjo who served as translator and assistant to President Taira. While in New Mexico, Kaicho Taira and Mr.Kinjo visited several scenic areas including a visit to Santa Fe, the capital city.